The hardest thing about being a professional travel photographer is that you can never complain about being a travel photographer. I mean, how could people take you serious well complaining about the stresses of the most amazing job in the world? But, I think no matter what job you have you need to vent from time to time – no matter how much you love your job. For me, that time to vent was in Olinda, Brazil. When I got to Olinda, I was wiped out, exhausted, and still up to mu eyeballs in work to do. It got to me. You see, part of the problem is that I can never stick to a travel plan. I had this great idea before South America to travel really hard for a month, then find a place to rent an apartment and relax well working from home for a month. The only problem is that I’ve been in South America now nearly 7 months and haven’t taken more than a day off, let alone a month, from travelling the whole time. There are just too many cool places to see and shoot. When I’m not moving, I feel like I’m missing out on things. Anyways, in the video below, you’ll see my stressed out chat to you the readers/viewers. And, below I have a bit of a discussion regarding my work, and what I need to do moving forward to avoid these moments of stress. The beauty of my job is that I love it. The downside of my job is that I love it so much that I never want to take breaks from it. I don’t even really like sleeping, it feels like a waste of time I could be spending working on projects. The other challenge to my work is that there is two sides of it – the exploring/shooting and the computer time. I have a hard time focusing on just one, and end up stretching myself out so much that I work from dawn to the middle of the night. I really need to find a way for me to separate these two worlds a bit more, so that I can have more fun when out exploring, and simultaneously be more productive when I’m at my computer. 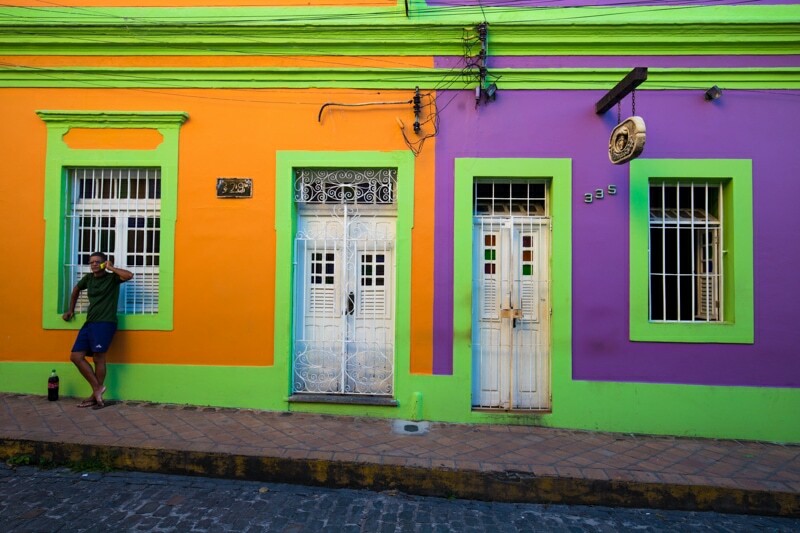 Loved the colours of Olinda. I still think that my game plan coming to South America was right. I just never stuck to the plan. As soon as I get to Colombia at the end of this Brazilian adventure, I’m going to start sticking to the plan – at least as much as I can. September: Staying the month in Santa Marta, Colombia. Although I do have a 5 day assignment in Ecuador, too. 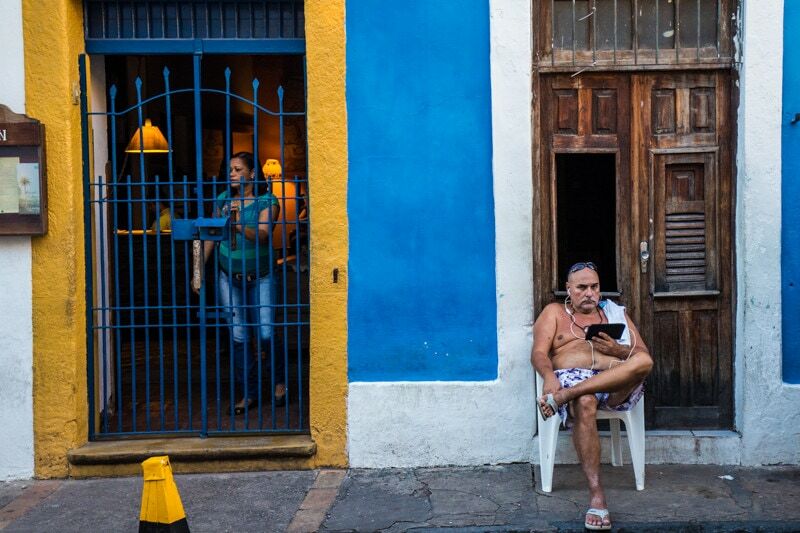 October: On Assignment in Cuba. November: Staying the month at home in Canada. December: On assignment in Europe. January: Staying the month in Spain, or somewhere else in Europe. February: Photography workshop in Morocco. There are two main reasons why my travel game plan never works for me, or most people in my industry. The first is that there’s a pressure to constantly be producing amazing content for various streams of media. The second is that if you have holes in your schedule, there are always ways to fill them. When I’m travelling a packed schedule, I have to turn down a lot of work because it doesn’t fit my schedule. If I have a month “free”, it’s hard to say no to work assignments to amazing destinations. The true challenge is to stay flexible well at the same time learning how to say no when your schedule is just too busy. OK, enough of the monologue. I know, I’m starting to make it sound like my job is hard and that it’s a “pain” travelling so much. It’s not. Not at all. In fact, the problem is that this job is so awesome that I never want to take a vacation. There’s always another destination to explore or photo to take. One of my favourite street photos in a while. Love the stories this photo tells. Yes, there is a destination to this article. And that destination is pretty cool. 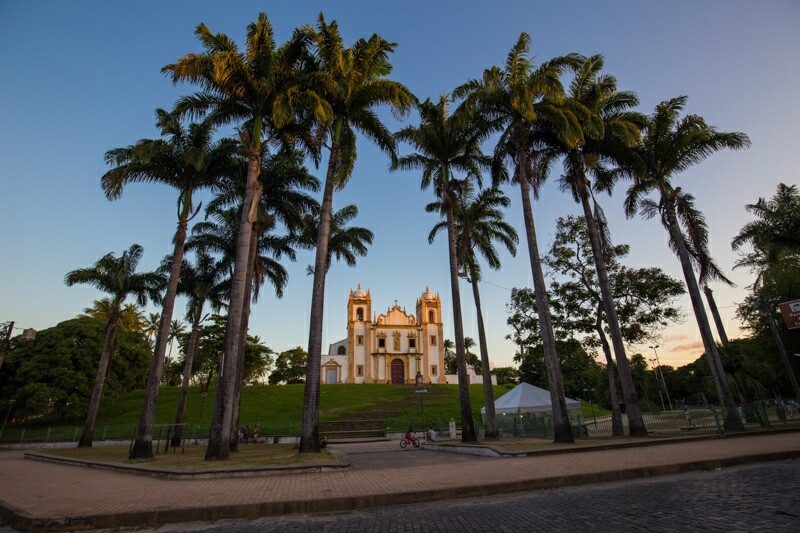 Olinda, Brazil is a small town on the outskirts of the city of Recife. 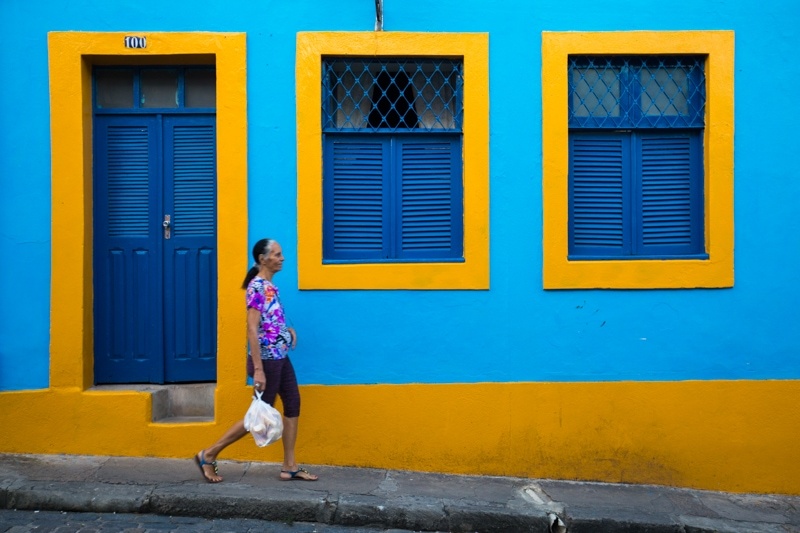 Olinda is beyond colourful as you’ve seen in the photos within this article. I didn’t shoot for more than about 2 hours in town, because I was trying to relax a bit. But, I really did enjoy town. Not only was the city really colourful, but the people were extremely kind and the food was extraordinary. 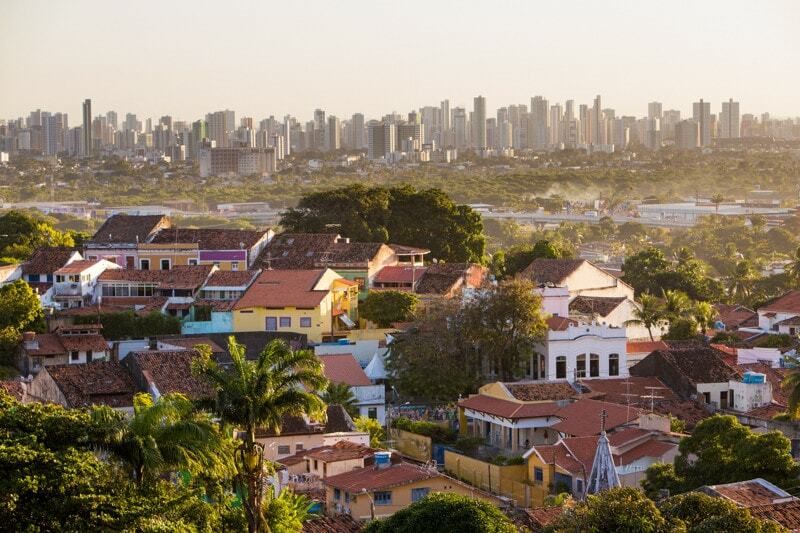 I’m going to have to add Olinda to my list of places to return someday. 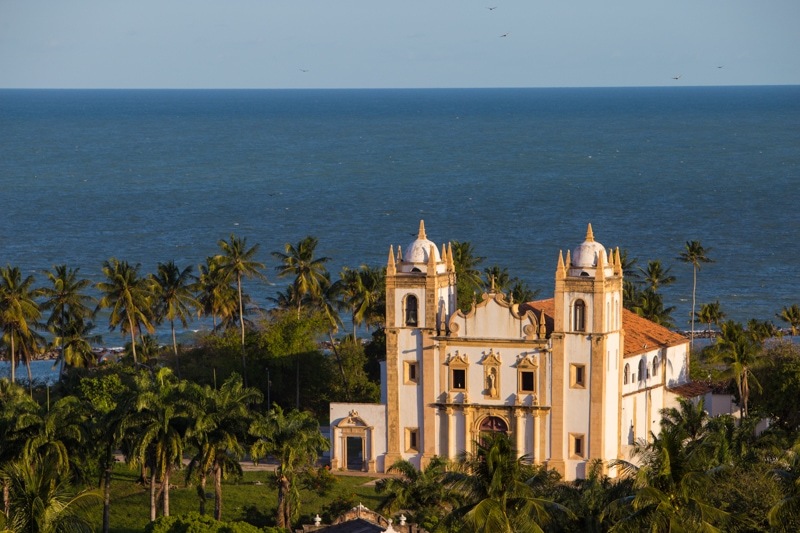 Most foreign tourists seem to skip Olinda, or have never heard about it, but it is certainly worth a visit. Me: Just keep walking, you’re an important part of this photo. Her: That’s what I was afraid of. I’m heading up to a place called Jericoacoara which looks like absolute paradise. My goal there is to take a couple days to act like a tourist, and maybe even catch some sun. Then, get out and do some shooting of the landscapes in and around the town. From there, I’m headed up into the Amazon. The digital nomad life is awesome, but it can be so challenging at times. Your health is your foundation man, take time to get better. Your clients are just going to have to wait if they want your top shelf work! Nice Blog with Amazing Pics, I read it.